Mike Peters has been lurking in my head since 1983. The Alarm were staple gig favourites to around ‘87 , the 1st three albums , Declaration, Strength and Eye of the hurricane were turntable and car cassette player favorites (no CD’s or downloads then kids!) . Mr Peters popped up again during the following decades via Dead Men Walking and Big Country . As new bands took over the old songs faded , but like a spy sleeper cell they would burst out as clear as a bell at any given opportunity. Having been given the opportunity to present my own radio show , some of those The Alarm tracks crept back into my life . 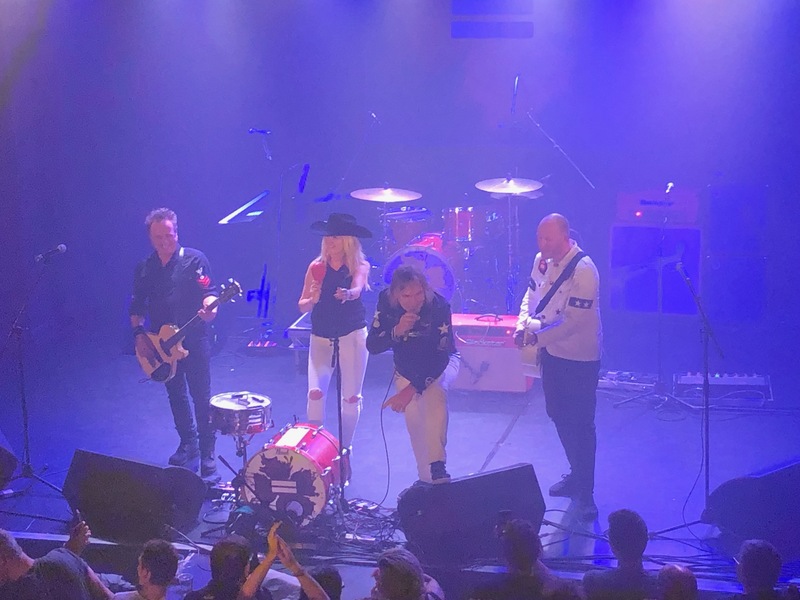 On a wet horrid November evening I trotted off to London’s ULU to review the new formed The Alarm gig and interview the support band Ryan Hamilton and the harlequin ghosts. Tonight, was the first of 8 shows on this UK tour. I wanted to meet Mr Peters , but this was not going to happen this time. 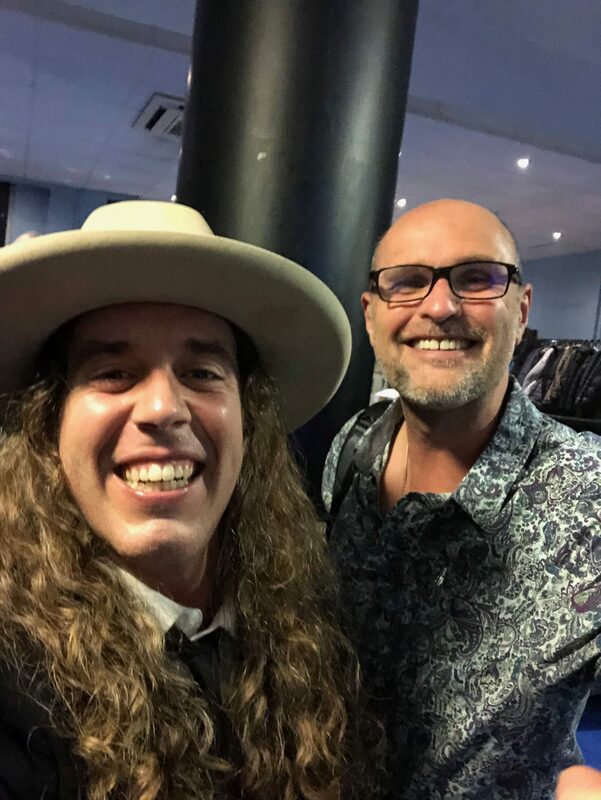 Due to over running sound checks and other unrelated “stuff” my interview with Ryan Hamilton was later than scheduled and as a consequence I missed Julia Othmer’s set. I will say that during her soundcheck the singer /pianist belted out the best version of House of the Rising Sun I have ever heard . Oh, and she is gorgeous , something about skin tight spandex and heels! I must catch her again next time . Ryan Hamilton lives in Texas with is Geordie wife . He is a fabulous fella , and even in a loud student bar he gave a great interview where he discussed the band , new single, video, his relationship with Stevie Van Zant and how he met his wife.His band walked onto the stage dressed in dark suits and ties ,Hamilton with a white large brimmed hat covering his rock star long hair. It was clear that from the interview and the interaction with the ULU crowd that he loves the UK and is grateful for the opportunity that this country has given him. There is no mistaking that Hamilton’s music is American ,that Southern accent pops out with the twanging of the guitars , there is a splash of Dylan , a pinch of Mellencamp , a hint of Squire added with a touch of Jason and the Scorchers and a large portion of Petty. The band is tight and having fun. The set list comprised of songs including the new single Bottoms up (here is to goodbye).The unconfirmed named debut LP is due for release by May 2019 , all things being equal and with the continuing support he has Mr Hamilton may well fill a void left by the much missed Tom Petty and to be honest I could not think of a nicer human being to do that. Mike Peters is another remarkable person, not only has he made a living out of music for the past 3 plus decades , he and his wife have each faced life threatening illness and yet he appears on the outside to thrive. He formed the Love Hope Strength Foundation and has played gigs on Everest and other mountains to bring awareness and hope to others. The Alarm crowd were of a certain vintage , they were just like me. Tonight ‘s band was not the same line up as the 80’s, Jules Peters was on keyboard, but nobody cared. Mr Peters blasted through songs that sent the crowd back to the 80’s , which were hard times for most , especially the young then whom many found release from the hardship through music. When your informative years are surrounded by tracks like 68 guns , strength and spirit of 76 , they become entwined in your DNA. Mrs and Mrs Peters are remarkable people , Mike Peters is also a very underrated musician . I knew every song , some brought back memories , some just brought back my dancing feet , a fabulous feeling for a man of a certain age. 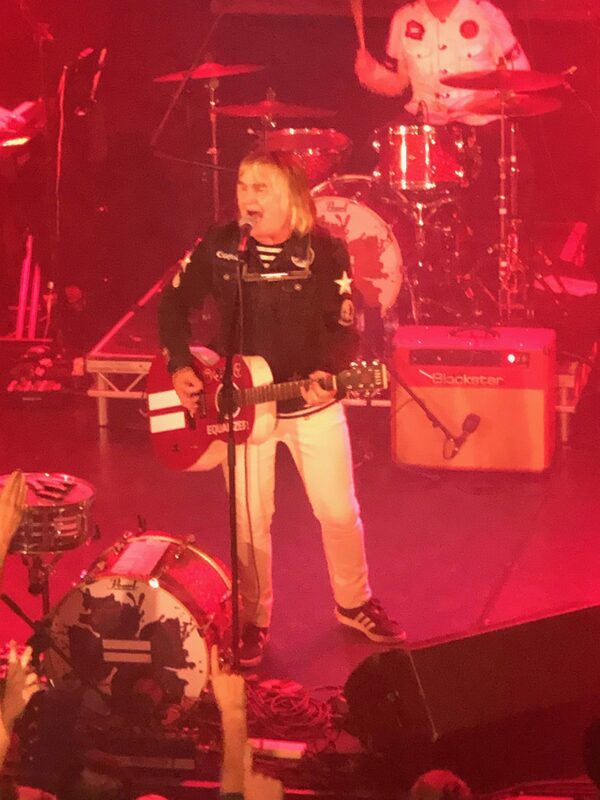 I am very lucky that I go to interview so many rock bands and review many more gigs , including festivals I have seen well over 150 bands in 2018 and tonight by far The Alarm were the best of 2018. Gig of the year so far? No question and said with absolute reality.